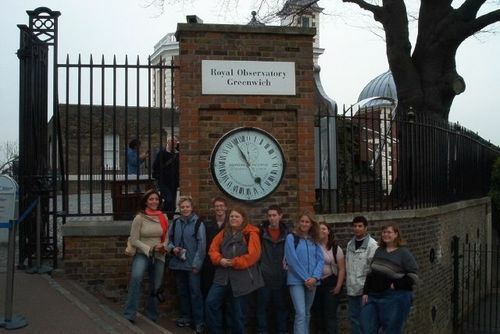 It kind of surprised me, but the London study abroad experience really helped me see the value of General Education. Every day we headed out of the hotel and turned the city into our classroom. One day we would go to the British Museum and look at its magnificent collection of ancient Greek artifacts; the next day we’d visit the House of Commons and speak with a Labour MP about the impending war in Iraq. The day after that would find us having a tour of Westminster Abbey followed by a visit to the Museum of Natural History. I realized how important it is to be broadly educated in the traditional field of knowledge. When you know something about politics, history, art and science, the world opens up to you like a treasured book, and you can more deeply appreciate the diversity and variety of human experiences and conditions. I also polished my communication and critical thinking skills on this trip, for we did far more than hit the sites like tourists. Our instructor gave us assignments that required us to take notes at the various sites and write up descriptions of what we learned at each one. We compiled those writing assignments and some photos into a “book” that we each got a copy of at the end of the trip. We also had to communicate orally with a variety of guests our instructor lined up for us–from members of Parliament to local politicians, elementary school teachers, social workers, and environmental activists. In addition, we had to supplement our activities with a considerable amount of reading in politics and history. Finally, we had to engage in practical problem solving. Each day one of us was assigned to figure out how the group was going to make its way from the hotel to that day’s venue. That helped us learn the ins and outs of London, the Tube system, and the bus routes. We also were divided into small cooking groups and had to plan and cook evening meals once a week on a rotating basis for the whole group. 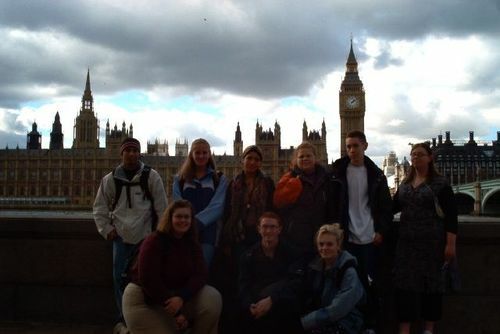 The London Study Abroad experience was one of the most valuable things I did while I was at SLCC.